The devil is in the deli. Wearing an apron and an endearing smile, handing slices of salami or cheese to innocent young children as they shop with their parents. An enabler, pushing a gateway drug to prosciutto and mortadella that will ultimately lead to an expensive jamon Iberico habit. "For me it was fritz," says Ben Jager of Elsternwick's newly sprung Hunter & Co (fritz being the uniquely South Australian term for what the rest of Australia calls devon or stras). "When I was a kid, the guy in the shop would always slice off some fritz for me. It made me want to go back – and if you've got a happy kid, you've got a happy parent and a repeat customer. We'll always offer our customers a taste of something. It's what helps set us apart from the supermarkets." With nostalgia providing the overriding theme in the metastasising list of food trends, perhaps it is no wonder the delicatessen is making a comeback, dressed up for 2018 in shape-shifting livery. 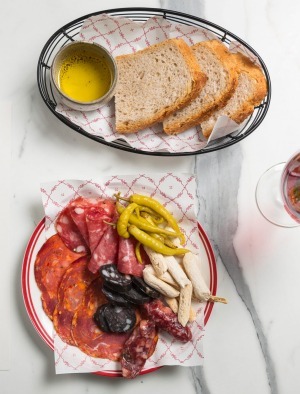 It is safe to say the delis of old did not have concrete counters cast to look like salami, a la Hunter & Co, but the rose-tinted memories certainly helped refine the vision of Jager and partner Charlotte Spong when they opened late last year. The pair had spent their careers working the floor of restaurants such as the Botanical, Nobu and the Melbourne Wine Room, but their instincts pushed them towards a deli with an emphasis on take-home meals, a small eat-in component and a wine shop. "Around this neighbourhood it's very much your old-school delis. We wanted to trend it up a little. The take-home component is very important because everyone is so time-poor." For more deli action in Melbourne, look to the new Arthur Street Deli in Fairfield and the return of La Latteria, Giorgio Linguanti's mozzarella laboratory in Carlton, which reopened two weeks ago after renovations. And watch this space for King and Godfree, the Lygon Street institution due to reopen shortly boasting a new first-floor restaurant with rooftop deck, as well as an updated version of its classic deli, still resplendent with Italian smallgoods but also offering panini, salads and pre-made meals to eat in or take home. Why the deli; why now? The rebirth of the deli is concomitant with the rise of fast-casual restaurants, with the growing emphasis on produce and provenance, and a weariness with the supermarket hegemony. Throw in the extra layer of customer service and you've got what passes in the food world as a lay down misere. It helps also that the very definition of a deli is evolving. Take another newcomer, Big Dog's Deli in Richmond, which takes the great American-style deli as its jumping-off point. Owner Emely​ Donegan was inspired by the likes of Katz's Deli in New York City, and while working in a kitchen in Portland, Oregon, was taught a traditional method for making pastrami by a member of the Katz's diaspora. She hopes Big Dog's, where meats are cured in-house and her own pickles and preserves line the shelves, will lift the sandwich up where it belongs, complete with crisps and pickles on the side and a beer chaser. "When I got back from the US I couldn't understand why sandwiches don't have the same respect burgers have. A burger is just one kind of sandwich and there are really so many things you can do that are more exciting to me than a meat patty." 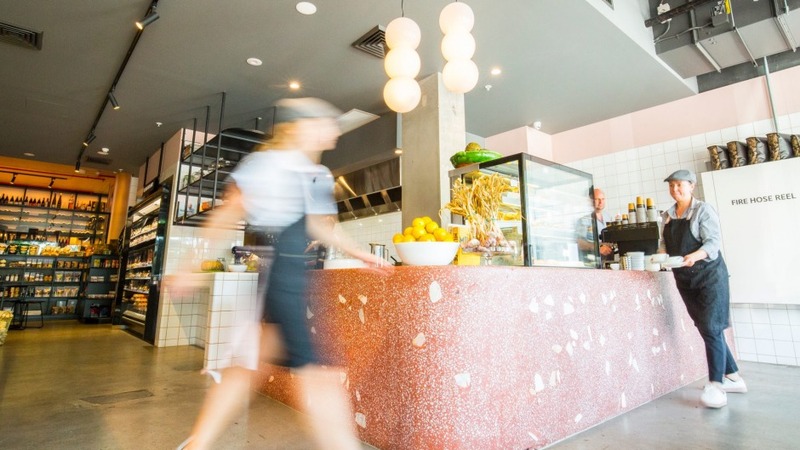 The fully rounded new-school deli is an idea that took hold in Sydney with the Continental, a deli counter, bar and bistro dripping with a surfeit of tattooed cool (and inventor of the Mar-tinny and Can-hattan, two drinks conspiring to break Instagram). The Melbourne rejoinder – albeit a work in progress – is the MoVida group's Bar Tini. Opened in Hosier Lane at the end of last year, this no-bookings restaurant will also be home to a bodega – a wine and food shop – when the take-home liquor licence comes through. The MoVida group has long been interested in primary produce as well as stellar tapas; Frank Camorra and his business partners hold the Australian licence for Cuca tinned seafood and in the process have become the proselytisers for the revolutionary notion (to Australians at least) that in Spain, the top-quality stuff winds up in a tin. "The idea is to stock things we've seen and enjoyed in Spain," says Camorra, who also launched the Alimentaria online shop shortly before Christmas. "A lot of tinned seafood, including the Conservas Royale brand, which is absolute premium stuff, along with bread and wine. For us it's a way of celebrating the amazing producers we deal with in Spain. Stuff we like; that's about the only guiding principle." 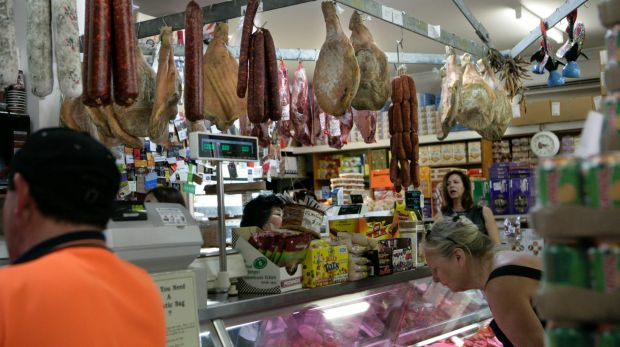 A standout in the Queen Victoria Market's deli hall, Bill's has been providing brilliant deli goods and photo opportunities for more than 20 years. A Spanish old-timer in Fitzroy and more recently Alphington, this celebration of the Iberian Peninsula is the home of manchego, tortillas, jalapenos and jamon – and a dizzying range of mind-blowing hot sauces. If it's possible to be outrageously Italian, D.O.C. Delicatessen in Carlton is it – an offshoot of the popular pizza and mozzarella bars and a temple to the geographical boot's gastronomic brilliance. The stall at the Prahran Market is the Platonic ideal of the old-school deli. 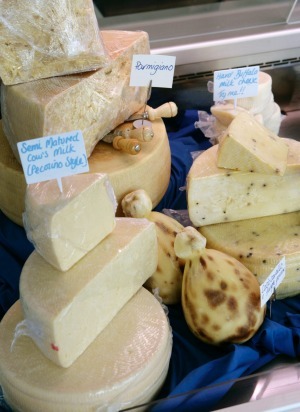 Swing by for charcuterie, cheeses, anchovies and everything else your European imagination can conjure.